Properties in Vincennes average 4.4 out of 5 stars. Studio equipped independent in Vincennes for 2 people. Property 23: Studio equipped independent in Vincennes for 2 people. 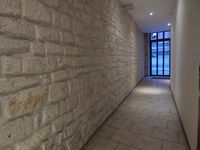 Vincennes 1BR - Tastefully Decorated, Balcony, Sauna, Close to Center of Paris! 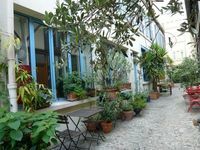 Property 30: Vincennes 1BR - Tastefully Decorated, Balcony, Sauna, Close to Center of Paris! Property 37: Vincennes 2BR - Tastefully Decorated, Balcony, Sauna, Close to Center of Paris! Property 45: ideal adress for a Paris visitor,recently decorated, fine amenities, furniture. This is a lovely flat on a quiet street. It's quite well equipped for cooking if you're interested. But after all, this is Paris. The owner was very helpful and made our stay very easy and memorable. Easy access to everything you'll need!